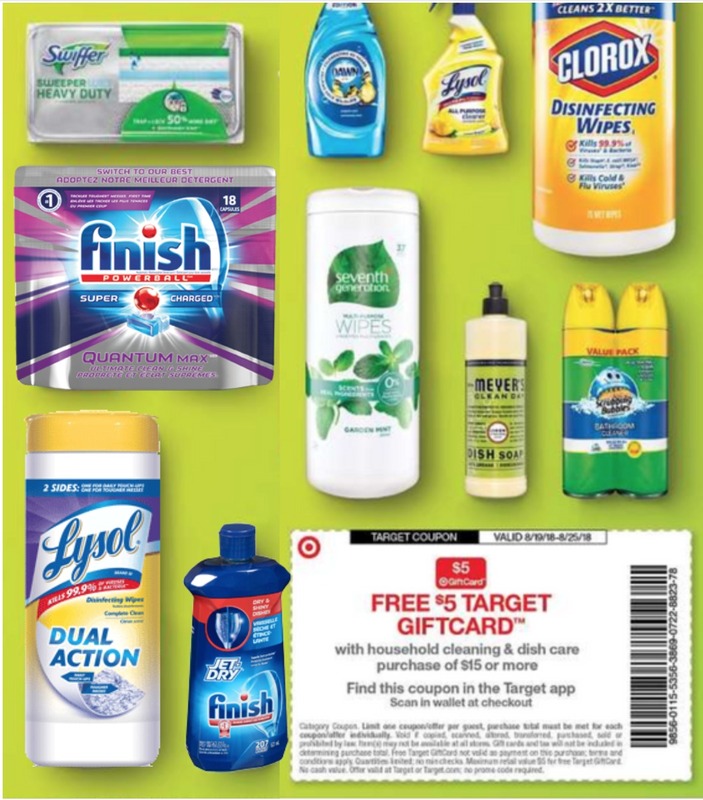 Starting Sunday, you will get a $5 Target gift card back when you purchase $15 in Household Cleaning & Dish Care Items. This is a coupon in the Target Weekly ad that starts tomorrow, plus you’ll find in the Wallet section of the Target Mobile App. The sweet part of the deal is that you can combine it with coupons and Cartwheel offers. As long as your total is $15 before other coupons you’ll earn the $5 Target gift card back! You can even pay with your Target RedCard to get another 5% off. The ideas are endless really, so if you have products you love check the coupon database to see if there are coupons. No matter what you grab you are getting 33% off basically with the gift card!